I Love Cutting Files! An SVG file is a digital art file that is designed as line art electronic cutting machines can recognize and cut. Sometimes these SVG files are also drawing files some machines will use as line art to draw with an actual pen. These SVG cut files can be used with any of the Cricut Explore or Cricut Maker machines. You can easily upload the files right into the Design Space software and use them to create all kinds of DIY craft creations. I hope you enjoy these pieces. From me to you with love! I create and share projects to make specifically with a Cricut machine. 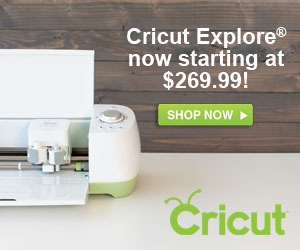 You can find all my projects, read more about this awesome tool on my Create with Cricut page. You can also check out which designs I have available through Cricut directly in my Cricut design library. NEW! Download this cute Hi There word art – FREE SVG cut file.